Greece is awash by the Mediterranean and serves as a crossroad among three continents. Crete is an island which lies between the so-called East and West. As one of the largest island societies in the Mediterranean, Crete has served exceptionally in that networking area while it also holds a significant tourist, economic and social role for its surrounding countries. This course offers students the opportunity to literally dive into the Greek experience through an empirical study of its rich multifaceted culture as it is expressed today on the island of Crete. Field trips have been incorporated into the course requirements, exposing students to interdisciplinary ways of Eastern Mediterranean history, culture, traditions and society. Students are guided through the techniques of fieldwork and participant observation to attend family, household, village and city customs and practices as these all are valuable mechanisms for learning the social, economic, cultural, political and religious ways that underlie and make Greek culture distinctive and important at a Mediterranean level. Selected locations, such as archaeological, historic and cultural sites, farms, markets, local businesses, social networks and households, are part of those field trips. Traveling functions as a course requirement while students reflect on their Greek experiences through a looking-glass process. Underlying Research Themes: Archaeology & Mythology, History & Folklore, Literature & Performance, Arts & Crafts, Local Economy, Politics & Governance, Rural & Urban Living, Fauna & Flora, Natural Environment & Climate, Organic Farming & Produce, Education & Research, Architecture, Mediterranean Diet, Tourism, Innovation, Identity & Culture Islandness, Syncretism. Students will be registered for GST 380: Mediterranean Crossroads for 3 credits as a part of their spring course load . Students must leave space for these 3 credits in their credit load, or will otherwise be billed for exceeding the 20 credit term maximum. Pre-requisite: None. All undergraduate majors are welcome to apply for this program, including First Year students. Requirements: Pre and post academic requirements. For details review the Syllabus_2018. The final grade will be based on a combination of assignments and class preparation and participation. Please, review the Syllabus_2018 for a detailed list. Instructor: Dr. Maria Hnaraki (also spelled “Chnaraki”), a professor of anthropology, folklore and ethnomusicology, a writer and an accomplished scholar in the field, has extensively researched cultural identity expressions, traditions and customs, such as music and dance events in the Mediterranean, as well as investigated topics in nissology, experiential learning and hybrid educational environments. 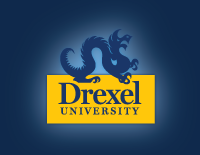 While the founding Director of Greek Studies at Drexel, Dr. Hnaraki created more than 30 university courses, several of which are unique in the USA, with the educational purpose of implementing an integral, holistic, interdisciplinary, academic approach to the Greek and Mediterranean reality. Students may choose to arrive earlier for an extra cost of €30 per night. Prior to departure, students are required to attend an introduction/preparatory session. Details TBD. All payments are non-refundable unless declined admission or program cancels for unforeseen reasons. Limited scholarships may be available through the George and Vasiliki Harris Endowed Scholarship Fund in Greek Studies. Housing and Meals: Students will be provided rooms at http://www.idealapts.com/en/accommodation, a family, friendly run establishment. That informal, cozy atmosphere makes them feel relaxed and at home. The location of the apartments at Kokkini Hani is geographically ideal as housing is located only 15 minutes away from the cosmopolitan capital city of Heraklion. All apartments have two bedrooms, kitchen, lounge, bathroom, wc, air conditioning and balcony overlooking the pool or gardens and are equipped to a high standard with all necessary appliances. Cleaned daily and fresh bedding and towels provided. Pharmacy and supermarket a few meters away. The “Ideal”, on-site taverna will be serving breakfast and dinner. The variety of dishes served represent the famous Mediterranean-Cretan Diet, prepared daily with fresh produce picked from the apartments’ garden by “Mrs. Maria”. Is a visa required for US citizens? American and Canadian students are not required to have a visa for this program (since their stay is less than 90 days), but must have a passport. Students of other nationalities should confirm visa requirements on the Greek Embassy website. Crete Co-op positions are available for spring/summer co-op cycle. Interested students should contact the Steinbright Career Development Center. Students who co-op in Crete will be eligible for special funding through the Vasiliki Scholarship in order to participate in this ICA prior to starting co-op.